When it comes to buying a sports utility vehicle there are SUVs, and then there’s the 2015 BMW X1. This luxury SUV has all the trappings BMW lovers are used to plus the ability to take it on some off-roading fun. 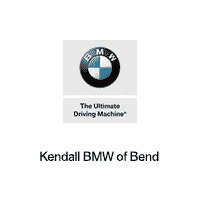 Here at BMW of Bend, serving the Prineville and Redmond areas, we are pleased to have the 2015 BMW X1 in stock. After all, we know once you get behind the wheel you will never want to get out! So what makes the 2015 BMW X1 so exceptional? Well for starters, the standard 2.0 liter twin power turbo four cylinder engine gets you 240 horsepower and 260 pounds per foot of torque. The ECO PRO mode teaches you how to become more fuel-efficient and can result in fuel savings of up to 20 percent. It uses engine management software to adjust the engine’s output to save you mileage. Additional miles gained are displayed on the on-board computer to motivate you to keep on saving fuel. With this SUV you also get a panoramic moon roof, power front seats with driver seat memory and concierge services with critical calling. There’s also a host of standard and available safety and technology packed into this SUV to please most drivers. Here at BMW of Bend, near Prineville and Redmond, we have a team of experienced and knowledgeable BMW dealers waiting to show you around the 2015 BMW X1. Not only can they answer any and all questions you may have about this SUV but they would be happy to take you out for a test drive. We know that once you get behind the wheel of the 2015 BMW X1 you will fall in love! In the Bend area? Then what are you waiting for? Get on down to your trusted BMW dealer today!